San Fran is costing me in the NFL Super Contest!!! Betting is 64% on the Home Favorite with the line moving from -7.5+105 to -7.5-107. The line is -8 at most books. Models favor Houston, Variables are neutral, while public betting slightly favors Houston. Without variables to support a side I will be passing on the game. Variables along with public numbers are the key to finding value in the NFL. Models are a distant 3rd. Again a pass. In the Hilton Super Contest it was a 2-3 day for me bringing my record to 21-14 or 60% through week 7. My winners in the contest were Miami and the Jets while Pitt, Cleveland, and San Fran lost. Pitt and Cleveland both had back door cover chances but San Fran was toast. 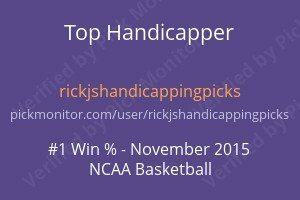 We also had 2 one unit plays in the NFL and went 1-1 winning with Miami +3 and losing with Pitt +7. In addition, we had a 1 unit play on Winnipeg’s in the NHL which lost 0-3. We have an NFL game tonight which I will comment on later this afternoon. Which leads me to several emails I received this weekend asking why I do not post comments on more games. Let me say I have good intentions to post but for some reason, I have a number of pressing things going right now that have my mind in another direction. Its issues unrelated to gambling. Every once in awhile life does get in the way of betting on sports. No way to avoid it. I will make an effort, however, to post more about key games as I do enjoy writing about games. Regular season NBA starts soon and after last season I am looking forward to it. MLB has turned out to be a profitable enjoyable season despite the grind that MLB is. 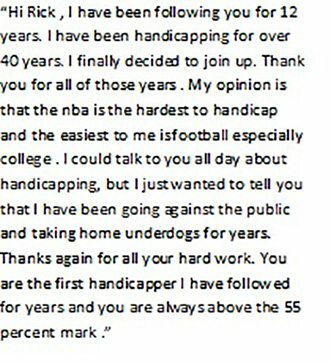 I consider +12 units in any sport a successful handicapping result. And that is where we are at before the World Series. +12 Units. One thing has is very consistent is the ability of this service to produce positive seasons year in and year out. My goal is to produce positive results in every sport. I am closely closing in to successfully accomplishing that goal!!! If you wish to jump on board with us to learn and obtain all plays all you need do is pick the subscription option of your choice. All have a 3-day free trial. I doubt you will find a sports betting service that comes close to the value that this service gives.